The Atlantic hurricane season peaks every year in August and September, and this year is no exception. 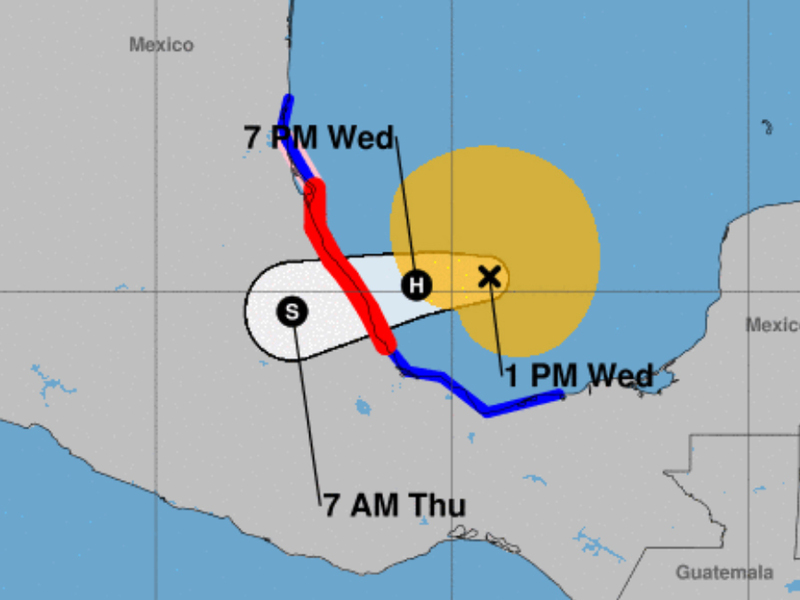 Tropical Storm Franklin, spinning in the Bay of Campeche off the coast of Mexico, is this year’s seventh tropical system to form in the Atlantic. Franklin is expected to make landfall early Thursday morning, and it could make landfall as this year’s first hurricane. In an average year, the Atlantic season’s first hurricane usually forms on August 10, so Franklin would be right on schedule. From here, there’s an average of one hurricane roughly every two weeks, and the National Hurricane Center is currently watching another disturbance in the middle of the Atlantic that could become Gert as early as this weekend.